Holy Communion 1.10pm Mon-Fri. Sung Eucharist 10.30am Sundays. The beautiful and historic building of Manchester Cathedral hosts “Quietus Revisited: The vessel, death and the human body” an exhibition of monumental ceramic works by international artist Julian Stair, addressing the containment of the human body in death and reminding us of our own inevitable mortality. Life-sized artist made funerary jars and sarcophagi explore the symbolic language of ceramic vessels and the role they have played in rituals surrounding death and bereavement. 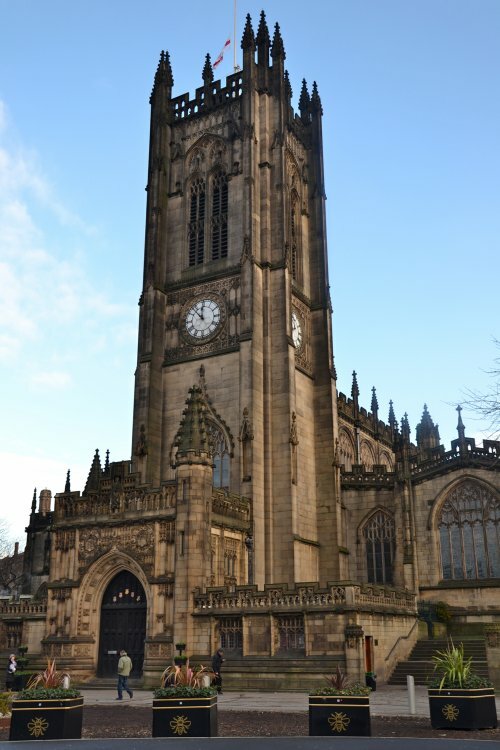 The Cathedral Church of St Mary, St Denys and St George is one of Manchester’s oldest buildings dating back to the Middle Ages. As well as being a place of collective worship with beautiful choral music from the cathedral choir who attend Chetham’s School of Music it is also notable for its spectacular wooden furnishings, particularly the medieval misericords and stained glass displays, much of which was restored in 1952 after the Blitz. It is a Grade One listed building. The friendly church of St Ann’s plays host to three artworks for the PassionArt Trail. Adam Buick’s Veneration Bell is installed as the cities first digital altar piece in The Lady Chapel. Local artist Lesley Sutton has created a site specific installation in the main nave called Manna, and Irish artist Rachel Ho shows ‘Scarred’, a collection of hand thrown porcelain vessels. 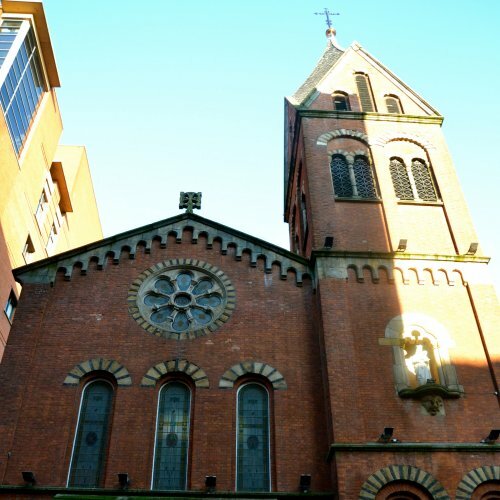 St Ann’s Church has been a place of prayer, worship and culture at the heart of Manchester for over 300 years. 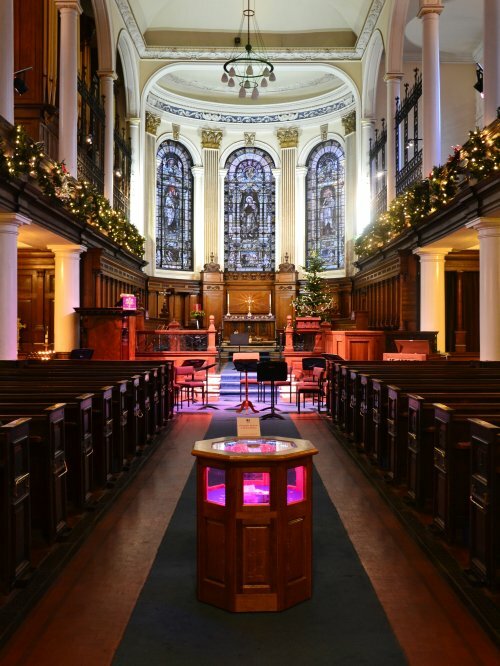 This beautiful piece of architecture, lined with wooden panelling and stained glass windows, creates an oasis of peace in the midst of a bustling square of cultural activity. As well as regular services of prayer and sung eucharists the church hosts many musical concerts including classical events by the RNCN and musicians from the Jazz Festival, due to the amazing acoustics in the space and the warm welcome from the friendly vicar and team. On Saturdays the church has a cafe open for tea and cakes between the hours of 10am – 3.30pm, a welcoming space to meet and chat quietly. For the rest of the week this is a sacred space, open to tourists and pilgrims alike to seek sanctuary from the noise of the city and to marvel at the beauty and history of the place. In the historic Crawford Room in The John Rylands Library you can see some of painter Ghislaine Howard’s 365 Series, daily meditations in paint, examining compassion in the everyday. Ghislaine was nominated as Woman of the Year in 2008 for her contribution to the arts. These contemplative works invite us to reflect on our daily lives. 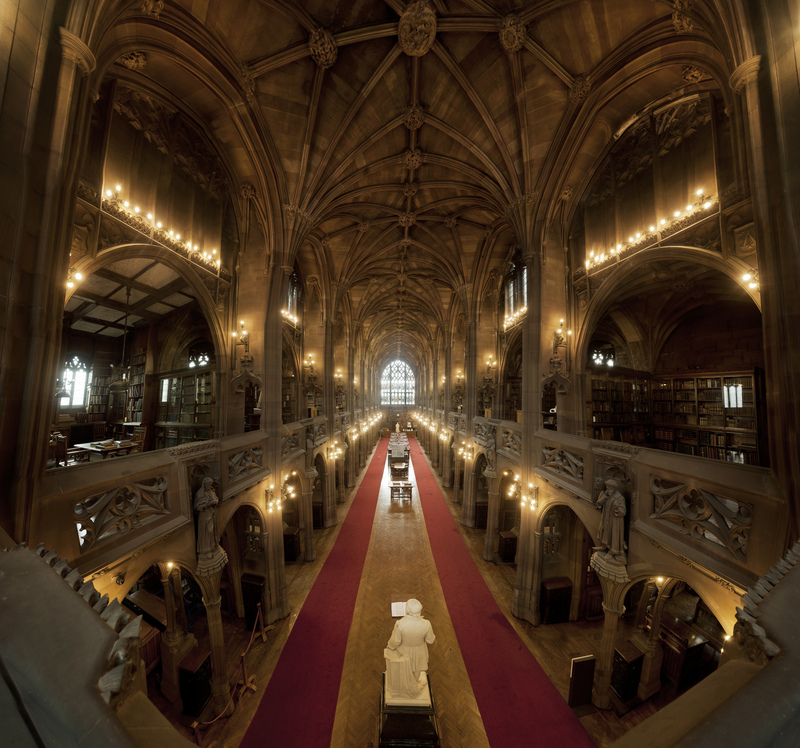 The John Rylands Library houses one of the world’s finest collections of rare books and manuscripts. Designed as a lasting memorial to her husband, Enriqueta Rylands built and stocked this neo-Gothic building with thousands of books and manuscripts; many of these were works of religious literature to support the training of Nonconformist ministers. A number of beautiful architectural features make this building a feast for the eyes; Gothic arched corridors reminiscent of cathedral cloisters and ornamental carved stonework portraying birds, foliage, dragons and other mythical creatures encourage a sense of imposing silent space amidst rooms of antique book-lined shelves and display cabinets. Faith plays an important role in the Library’s collection which holds sacred texts from all the world’s major religions. However it is renowned for its bible collection with bibles written in over 400 different languages. Perhaps the most famous piece of Christian text is the papyrus fragment of St John’s Gospel, widely considered to be the earliest known piece of the New Testament, with the verses 31-33 and 37-38 of chapter 18 on permanent display in the Rylands Gallery. Holy Mass weekdays 12.30pm, Saturdays 12 noon. The traditional white marble decoration of this beautiful church is contrasted by the strong, piercing colours of 14 large contemporary canvases that depict the Stations of the Cross, painted by Norman Adams in 1994 that expose the raw emotion and agonizing pain and suffering experienced by Jesus Christ in his final journey to the cross on the hill of Calvary. Tucked away through an alleyway hides arguably the most beautiful sacred space in the city of Manchester. Disguised by its plain outer red brick walls is a sanctuary space adorned with carved white marble pillars, and altar, St Mary’s Catholic Church, known affectionately as The Hidden Gem is a place of constant worship, prayer and quiet reflection for all who enter its doors. A silent space at the heart of a busy city, the pilgrim is invited to rest, to pause and share in the stillness of the present moment and to offer their prayers and heartfelt longings before the God who loves them. Manchester Art Gallery is one of the UK’s most popular cultural destinations, attracting over 400,000 visits each year. PassionArt has worked with the curators at the gallery to highlight a series of works on display that link with the trails themes of stillness, solitude, compassion and spirituality. Gwen John’s oil painting ‘Interior’, Antony Gormley’s sculpture ‘Filter’, Edmund de Waal’s crafted work ‘The Fascination of What’s Difficult’, GF Watts’ The Good Samaritan and Japanese Tea Ceremony utensils by Makoto Hatori. It houses many of the city’s most important fine and decorative art works, which have been designated as being of national importance. Their collection covers over six centuries up to the present day, particular favourites include their collection of Pre Raphaelite works. 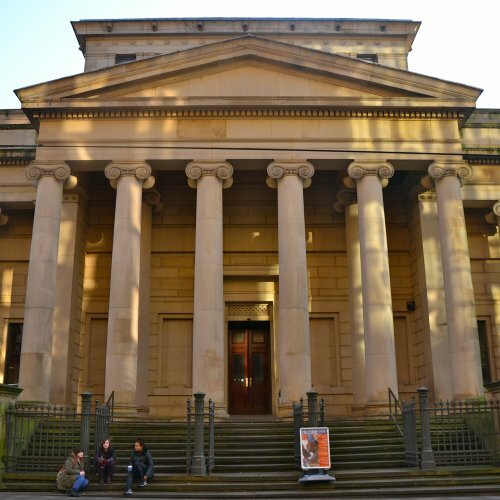 Manchester Art Gallery welcomes families offering a range of family friendly activities and a year-round events programme. To help visitors learn more about the collection they also offer a wide range of tours, talks and lectures for adult learners, as well as programmes for schools and colleges and community groups. Visitors can also relax in the gallery cafe or browse in the shop for art related gifts and cards. Hosted by Ziferblat, a new kind of social space in Manchester’s Northern Quarter is the work of local graphic designer and word artist Micah Purnell that critiques contemporary culture in relation to the Temptations of Jesus whilst in the wilderness. 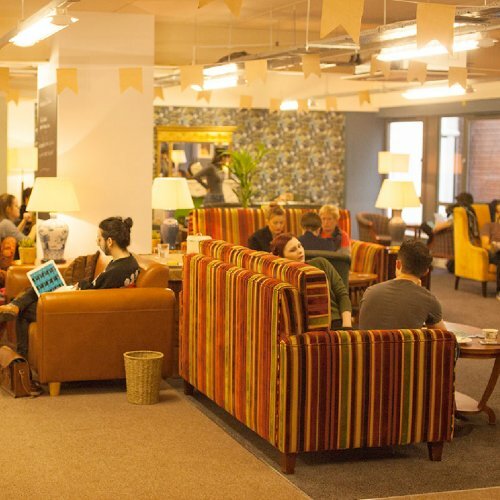 This pay per minute sitting room in the city centre is for everyone to use as they wish but please note they charge 6 pence per minute to use/visit the space but all drinks, cakes and snacks are free.